With its unique geological characteristics and a pedigree that dates back to the Roman times, Ancaster Hard White is nationally recognised as one of Britain’s most distinguished limestones. One of the main reasons for its prolonged success is its durability. When you build with Ancaster Hard White you are free from maintenance, and the passage of time will only enhance the beauty of your building. As we process a large quantity of small and/or awkward shaped blocks, waste is kept to an absolute minimum. This means costs are kept to an absolute minimum which is reflected in the price you pay. It also means we you are buying one of the most sustainable building materials available. 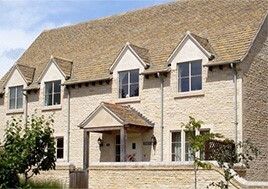 We can supply you with walling stone and the finest bespoke masonry. Contact us for prices and samples or to arrange a visit to the quarry.